Earlier in the year, Google decided to run an overhaul on its Gmail service and create structure for how various types of emails are handled, such as promotional pitches, social media responses, and discussion group updates. The main inbox that Gmail users encounter during usage is reserved for their actual conversations with their contacts. There are also some ads that may look similar to emails, which are placed above the tabbed folders section. As the structure stands currently, any sort of email correspondence from companies that are promoting new services or deals will get sent straight to the “Promotions” tab. However, there are some companies that are still trying to determine how the presence of the Promotions tab affects their marketing strategy. For companies that rely on email promotions, such as daily deal sites, it can be damaging because it means that users aren’t instantly seeing their promotional emails when they log into Gmail; they have to actually navigate to the Promotions tab in order have access to these deals. For other companies, it seems that the Promotions tab hasn’t negatively impacted their marketing strategies at all. Companies such as Shutterfly, Expedia, and Constant Contact have said that they haven’t seen any noticeable changes in how Gmail’s Promotions tab affects the outcome of their marketing. Although Constant Contact did report that there were slight changes with the new Gmail update, the changes weren’t significant enough to drive them towards needing to change their marketing approach. It would seem that for most companies outside of the realm of ‘daily deals’ have not been negatively impacted by the new tabs, leaving many to wonder why experts had projected such poor results initially. New reports claim that Japan’s reliance on the increasingly outdated fax technology may be to blame for the failure of warning citizens about the danger associated with Typhoon Wipha. The Japan Meteorology Agency defined Typhoon Wipha as a strong “once a decade” storm; its strength brought heavy rains that ultimately led to deadly mudslides responsible for the deaths of 28 people and over 20 other individuals that remain unaccounted for. The issue is that the Tokyo Metropolitan government sent a fax transmission to warn the affected local governments. The Miyake government received the warning and advised all of the residents to evacuate as soon as possible, but the office staff in Izu-Oshima had already left and the officials didn’t see the faxed advisory until almost midnight, six hours later. At this point, it was already deemed too dangerous to ask the residents within the area to leave their homes. 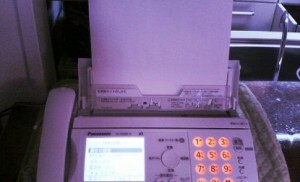 Although Japan has one of the world’s fastest internet connections, most of corporate Japan and its officials continue to rely on fax machines. Fax machine technology itself became fairly widespread in Japan during the late 1970s and early 1980s. Despite the issues associated with using the antiquated version of fax technology, the Tokyo Metropolitan government is still defending its continued use of the methods. They claim that it has worked well in the past and that it hasn’t led to any serious issues previously. One official said that that the government will keep the current fax system in place, but that they have also collected the mobile numbers for disaster prevention and control at the local governments in the area so that they may contact them directly when fax communication fails. The government maintains that sending a fax is the most efficient warning option available because it allows them to transmit all of the advisories at once. Is using Google Glass while driving risky to other drivers on the road? That’s what many are asking after the first woman to be ticketed using Google Glass is now defending her decisions. Software developer Cecilia Abadie shared in an interview with Associated Press that she is already in preparations of her defense for the unnecessary arrest. She claims that although the Glass was on, she wasn’t actively using it during her driving experience. Glass was in a passive mode while she was driving and wasn’t even active by the time that the cop arrived. The officer who stopped Abadie said that he stopped her because she was supposedly speeding. However, when he noticed that her eyewear was a bit different from the norm, he proceeded to add a citation for ‘distracted driving.’ Abadie now claims that due to the officer’s citation, she feels that the laws are fairly outdated now. One officer offered the definition that any item that might take your attention away from the motoring public can be considered to be a distraction, regardless of what it may be; this would include reaching for food, or indeed, using Google Glass. Yet now that one woman has been ticketed in association with using Google Glass while driving, there are now legislators in states and even other countries wondering whether if it would be easier and safer to just ban the use of Glass. It started with West Virginia and then followed up with Delaware, New Jersey, and even the UK. 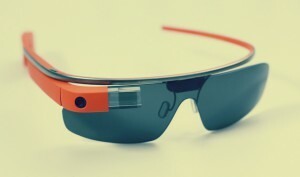 Abadie has already stated that she will be fighting the legal situations to come because she views it as ‘transparent justice.’ Many of the original Glass users have said that they believe that Google Glass improves driving safety because it ensures that they don’t have to reach for their cell phone. Although it’s undeniable that Google Glass is easily one of the most cutting edge forms of technology to hit the public market, there are many people who simply haven’t invested into owning a pair due to the overall chunky appearance of the design. However, the company recently released a new design for Google Glass, which may be just what was needed to spur more interest in the already popular new addition to Google’s line of tools and products for the technologically inclined. The recent redesign of the Google Glass pairs the initial design with a more sleek style. It looks far less bulky and comes in a few more color choices than what was previously available. The new design has a more minimalist nature and looks great worn on both men and women. There are also a few other elements that Google has brought into the design. 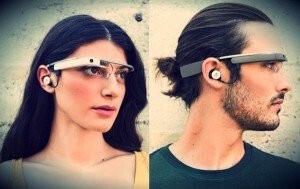 The redesigned Google Glass features a mono earbud that plugs into the Glass itself. For those who tried out the initial design when it was first released, Google will be replacing their Glass models with the newly redesigned option later on in the year. As Google Glass continues to evolve, gain new features, and even change in style, more people are likely to be interested in purchasing their own. 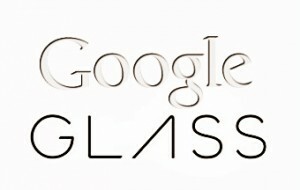 There are some who claim that the retail price of Glass may be the biggest element that has people thinking twice about whether or not they want to purchase the technology; however, given the amount of people who are already starting to get interested in Glass again after the announcement of the redesign, price may not be a factor at all. 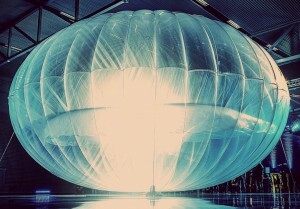 Ultimately, Glass continues to be one area that has set Google far apart and ahead from the rest of its competitors. Associate professor of music at Cornell University, Cynthia Turner, is now trying out Google Glass in the classroom during rehearsals and concerts. She won a contest to test out the new Google technology. She is now trying to figure out interesting ways that she can incorporate the technology into her daily life and the educational experience that she provides at the university. Her ideas so far have included streaming video from the Glass to give a view from the perspective of the conductor or musician during a concert and also using the Glass app to embed a condensed score. Turner has already started keeping a blog of her explorations with the new technology. In one blog, she mentions that she believes that if Mozart was alive today, he would have been a classical rock star and probably the first in line to try out the new technology. She also mentions that computer assisted devices might have been able to make Beethoven a little happier and allowed him to accomplish even more. Being able to consider the use of Google Glass from a musician’s perspective certainly provides a little more insight into just how broad of an experience it can provide for anyone who uses the new technology. According to the Cornell Chronicle, Turner is exploring the use of Google Glass with the help of Tyler Ehrlich. He’s from the upcoming graduating class of 2014 and is known to be a technology addict. Although Turner originally opted to try to use Glass to determine whether or not the technology would even be relevant in daily life, her blog seems to reflect that she is now deciding that Google Glass and its amazing technology could provide a vast array of experiences that were not previously possible. This eFax review holds all the information needed to prove that eFax is without a doubt one of the most excellent fax services available. This award-winning service has experienced many years in the communications world. It offers fax service to both individuals and small businesses. Two plans are available to choose from, an eFax Pro or an eFax Plus membership. The price of a Pro membership is 19.95 a month, and paying annually gets you a two-month discount. The only difference in this plan and the eFax Plus plan is the quantity of pages you can send and receive, which is up to 200 pages. Any extra pages cost around ten cents each. A plus membership is 16.95 a month however you receive a two month discount when paying this subscription yearly. Additionally, when enrolling, new members must pay a ten dollar setup fee. The monthly fee allows sending and receiving 150 faxes. Any over also costs ten cents each. This is a dependable service that does an outstanding job of sending and receiving faxes. Faxes can be sent using Gmail or by using the company software. Also, eFax messenger can be used for the sending of faxes. This process is extremely fast and easy to use. When clocking the time it takes to fully send or receive a fax, our test results were between one to two minutes. To send a fax with Gmail, you are required to use the number of the recipient, plus efaxsend.com. It is possible to attach 63 different formats on the email message and eFax automatically changes files into a fax that is completely compatible with conventional fax machines. It’s even simpler to receive a fax since all faxes are delivered to your Gmail account. Files can be received in TIFFS, or PDFs or the eFax file format which is the EFX. You have full control over what you print. In addition you have an online dashboard, and copies of all faxes are also sent there. Efax has a very user-friendly app that is well-matched to every smartphone. This app turns your phone into a virtual fax machine, which is capable of receiving faxes while on the go. Faxes can be created and sent using the phone’s camera. Scan a document using eFax Messenger and it’s automatically formatted to be faxed. This comes in very handy when needing to fax a digital document. It turns any computer into a fax machine when needed. With just a couple of steps you can produce a digital signature to be added to all of your faxes. This is a feature that is also available in a mobile app. Different from most providers of faxing this is available all over the globe. Currently eFax is available in 3,500 cities and 46 countries around the world. This service is very secure, but there are also additional choices for even more enhanced user control. As an example, it is possible to opt out and of receiving full fax with Gmail. A message saying a fax has been received is all that you will get. For security, incoming faxes can be protected by a password when using the EFX file format. This service is highly recommended for individuals who enjoy the benefits of mobile features. It has the best mobile app available on the market today. It has convenient, exclusive features which allow you to create, sign and send faxes quickly and easily. Although eFax is certainly not the least expensive fax service around, it does provide a range of reliable features that others simply do not deliver. When looking to obtain the most sophisticated fax features for a business, read the eFax reviews from customers and you will see that this service is definitely worth any extra expense. Sending or receiving documents through fax machines is really not ideal. Although I have had to share some of my documents through them too, they are however outdated as a communication tool compared to using the internet and its technologies. I generally prefer to fax from Gmail (an email service) instead of using a fax machine. To send a fax through email is quite easy and very fast too. With it, I can work with my faxes instantly and would typically not have to deal with any machine related issues or problems like a busy line or paper jams. Additionally, I would also be helping the environment by minimizing my office’s paper consumption. You may read on to know more about faxing through Gmail. TIP To immediately start with using Gmail for your faxes, you may check out our Quick Start guide. To fax through Gmail, you will need two items. The first item will be a Gmail account, you can get an account for free at httpmail.google.com. You may set up one or more free accounts for yourself, you can create an account right now too if you want. You will also need an email fax service, which would allow you to connect your Gmail account with a fax server, in order to get your faxes like emails. One of the key items that you will get from a fax service is a virtual fax number, you will need the number to receive your faxes through Gmail. The virtual number is usually given for free with your fax service account. Since the number works over the internet, you will not need a dedicated fax line at your office. Faxing through email is similar to sending email messages except for some differences, the following is an explanation on that. The Document To Fax. With emails, the main part is the message, while with Gmail faxes the main part is the attachment. To fax from Gmail, your document can be added to your email as an attachment by clicking the paperclip icon at the bottom of the Gmail compose window. Fax services will generally allow you to fax different types of files, which can then be converted to fax files before they get to their destinations. You would likely want to know what the message field can be used for when you are sending a fax. You may use some text in the message field as the cover page of your fax. You can use your own text or a template from your fax service. Receiving Faxes. All incoming faxes are automatically received just like ordinary emails, this is a key and time saving feature of fax services. Once you have your faxes in your inbox, you may then categorize or tag them. Fax to email services will generally provide you with some extra options for your incoming faxes. You may be able to download your service’s app on your iPhone for instance in order to gain access to your faxes on the go. Can You Fax From Gmail To Fax Machines? The advantage of using an email to fax service is that the service can automatically convert different types of files to a fax-image format like TIFF, which is compatible with all types of fax machines. A file can be converted the other way round too. For instance, if a fax is sent to you through a fax machine, it would be converted to a PDF file that you can easily print or read on your laptop, desktop etc. When you press the Send button, your file will be sent to your fax service’s server where it would then be converted to a compatible format. The converted file is then forwarded to your recipient using the number that was provided in the TO field of your message. Even if your fax service encounters a problemissue, it would continue to try and send your fax until it goes through. One of the major benefits of using a fax service is that you will also get your own virtual fax number. Most fax services will generally provide you with three options when you are creating your account. Local numbers. These are the usual local phone numbers. A lot of companies have some coverage throughout the United States, however if you are in another country, you may want to look for a local service or a service with an international network. A good example of this is eFax with a coverage in over 40 countries. Toll-free numbers. These are telephone numbers that others can call without needing to pay for their calls. The numbers that may be available with these will depend on your country andor area too. You will usually have several toll-free numbers’ prefixes to selectchoose from. A toll-free number is ideal for communicating with your clients. Your current fax number. Using “number porting”, your current fax number can be used together with an online service. It will generally take a few weeks for your number to work with the service however. Hence you will be given a temporary fax number to use for free. To get the best out of internet faxing, you will need to choose the right faxing service. Although a lot of services may claim to provide some integration with Gmail, some are however not very effective with it. Some of the services we recommend for Gmail include RingCentral, Nextiva, eFax and MyFax. We recommended these services because they have a lot of experience with online faxing and are easy to integrate with Gmail. Most fax to email service will give you a fully featured and free account to use for at least a month. You should avoid any service that may want to charge you some extra fees compared to others. You should also look for a service that would provide you with some good support in multiple ways at any given time. You will need to choose a plan that would meet your needs, you should generally avoid paying for any option you may not need. Is It Possible To Fax From Gmail For Free? Some of our site visitors generally ask if they can fax for free through Gmail, you may also want to know if you can do this too. It is quite unlikely that Google will add an option to fax for free to its service. The company had recently stated that it does not have any plan for a fax optionintegration. Some online sites may allow you to fax for free, such services are however different from using Gmail for faxing. Generally this type of sites will only allow you to send a few pages per day for free. If you need to send more faxes you would end up paying more than using some other better service. Such free sites would also only allow you to send faxes and not to receive them. They will also not provide you with a virtual fax number to automatically receive your faxes. Does TPC Gmail Fax Works? This method is however not up to date and does not provide you with a way to receive your faxes as PDF documents in your inbox, hence you should really not waste your time trying to use it. Send A Fax From Gmail Now! You can use our quick start guide to send your first digital fax with just a few steps. You may check the guide out and some of the services that we recommended too. You can get in touch with me with your questions or comments through our Contact page. RingCentral is one company that has a lot of experience in the field of email faxing technology. It offers a broad range of impressive features, a decent pricing structure and optimal integration with Gmail! Continue reading to get a detailed RingCentral Fax review. Currently, RingCentral has three plans that people can choose from the Fax 500, 1000 and 2500, with the name of each service reflecting the number of pages that can be sent and received each month. For this review we tried the Fax 500. Each of these service options provide the same support and features. The lowest priced package is just 7.99 monthly, which is a good price for an online fax service, especially when the features and reliability that this company provides are weighed in. Additional fax pages are 5.9 cents each. This company relies on powerful fax servers that make it possible to send digital faxes and receive them in just a few minutes. We used a remote fax machine and a chronometer to perform a test. It took two minutes and fifteen seconds to send a fax and faxes were received in three minutes and three seconds. This is extremely fast when you consider the fact that this entire process is automatic. RingCentral has some amazing features that can be integrated into your business. Many of these are aimed at helping people to reduce the amount of time they spend faxing and to ensure that the technology is both efficient and portable. Following are some of the best features that are offered by RingCentral. Integration with smartphones. Use your Android phone or iPhone to receive faxes direct. Each time a new fax arrives, you will hear a distinct sound. This is a free iPhone app and it is available to all RingCentral users. Unfortunately, however, phones cannot be used to compose new faxes. Scheduling faxes. With your web dashboard it is possible to schedule faxes that will be transmitted later. I adore this feature and RingCentral is easy to use even if you are not very tech-savvy. RingCentral is an amazing Gmail fax service for every type of user. The different package adapt to the needs of your company and it offers the perfect balance between cost, reliability and features. I recommend it 100! In this Nextiva fax review, we will be looking at one of the most competitively priced fax services out there Nextiva vFax. This is an amazing and low-cost service for getting started with Gmail fax. What Can You Get From Nextiva? Nextiva vFax is an online faxing service that allows people to both receive and send faxes via email. In this instance, we are using Gmail, which allows for optimal integration and this means that you will be able to start sending and receiving faxes within just a few minutes after having created your new account. You can avoid a number of equipment-related issues when using your email to send faxes, such as busy signals and paper jams. Incoming faxes can arrive at as many as five different email addresses simultaneously. You can send and receive faxes fast. For our Nextiva fax review we sent and received a number of test faxes and it took about one and a half minutes for these documents to get delivered with optimal readability. Faxes can even be sent directly from Microsoft Applications. If you happen to be working on MS Word, you simply head to FilePrint where vFAX can be selected as an option. The related fax will then be transmitted to the intended destination and you will not have to take any additional steps. This is an amazing feature that will help you to save lots of time. Faxes can even be sent from your cell phone with Nextiva, but instead of using a smartphone app to do this, it uses your phone’s mail function. This places some limitations on the functionality of mobile faxing, but it happens to be more than adequate if you only want basic faxing capabilities and do not need additional features such a digital signing or scheduling. By purchasing a fax bridge adapter, you can gain the ability to continue using your current fax machine but with email fax features. The adapter is priced at 150, so it is not a small investment, but it can be very handy for those who are comfortable using a fax machine but are ready to upgrade to a digital system. With the adapter, you can continue using your machine, but you won’t need to have a land telephone line. I don’t recommend purchasing the adapter, however, given that most people are choosing to use the all-digital setup instead. If you have physical documents, you are able to scan or photograph these and then fax them through Gmail. There are three packages that Nextiva offers and these vary according to the number of pages that you want to receive and send each month. The lowest priced plan gives you 500 pages. This runs 8 per month, but if you choose to pay the annual rate you will only be paying 4.95 each one month, one of the lowest prices available for any decent Gmail fax service! Nextiva vFax is truly one of the most cost-effective ways to transition to email faxing. By the way , there are also ZERO set-up fees with Nextiva, which is definitely the sign of an amazing service. I recommend Nextiva for companies and individuals who are looking for low-cost yet reliable digital faxing services, This service provides each of the basic functions that are necessary to start faxing right away and it is even possible to use this service with your current fax machine. At 4.95 per month with the annual rate, it certainly has an unbeatable price.